Hurricane season is almost here. That’s right, we are about to experience the annual, six month span from June through November where the warm and inconsistent African Easterly Jet winds blow across the Sahara to meet cooler air in the coastal areas of west Africa. The unstable temperatures and pressure mixed with moisture and location over the ocean creates a season of potentially catastrophic tropical storm systems that threaten the Caribbean and eastern U.S. While experiencing a hurricane season each year is predictable, the storms themselves are not. Travel protection plans from TripAssure can help summer and fall travelers concerned about hurricane season ruining their trip. Here is a quick review of 2017, a look at the 2018 predictions, a summary of the relevant travel protection benefits, and some advice from our experts at TripAssure. Last year, the National Oceanic Atmospheric Administration (NOAA) predicted an above average year, with 11-17 named storms. The prediction held to form, as there were 16 named storms during the season. Hurricanes Harvey and Irma were the most destructive storms, with many in the Caribbean and Gulf coast of Texas still recovering. For a detailed review of last year’s storms, please read Looking Back at Hurricane Season 2017. NOAA has not yet forecast activity for the 2018 hurricane season; however, Colorado State University (CSU) operates a Tropical Meteorology Project team to accomplish this task. According to the CSU hurricane researchers’ study, this season is predicted to be a slightly above average year, mostly due to a low likelihood of significant El Niño. Slightly above average would make this year similar to last, but CSU specifically is predicting 14 named storms, with up to 7 reaching major hurricane strength. NOAA’s forecast is not expected until later this month, but the CSU team has been forecasting hurricanes for 35 years, making their forecasts of similar credibility. Travelers ready to be in a warm, tropical climate this summer, TripAssure wants you to be protected. Here is an overview of the coverage benefits in our travel protection plans that can provide travelers relief when the trip is impacted by a storm. Trip Cancellation / Trip Interruption: Cancellation is before the trip begins and interruption is once you’ve already departed. These can reimburse the unused expenses of the trip that were pre-paid and not refunded. Trip Interruption can also reimburse additional transportation costs to return home earlier than planned. Trip Cancellation and Trip Interruption have a list of covered reasons; one of these would have to happen in order for coverage to apply. 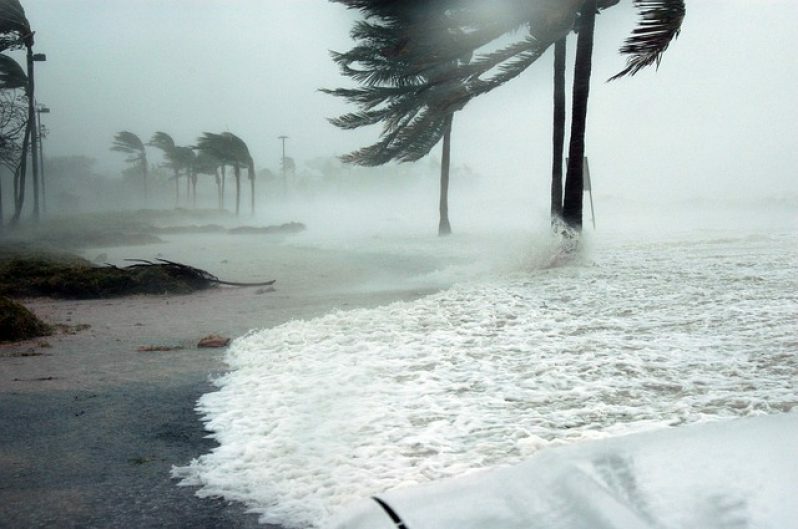 The covered reasons involving hurricanes are addressed in the common scenarios below. Missed Connection: If your common carrier is delayed for 3 hours, this benefit can reimburse additional transportation expenses to catch up to the trip, meal and accommodation expenses during the delay, and the unused non-refundable trip payments that were pre-paid. A common carrier can include flights, trains, buses and cruise ships. Trip Delay: If your common carrier is delayed for 6 hours, this benefit can reimburse for meals and lodging during the delay. Cancel For Any Reason (CFAR): This is the catch-all category that allows you to cancel the trip without explaining why and still be reimbursed 75% of the penalty amount. There are some requirements for this coverage benefit. To qualify, the policy must be purchased within 15 days of the initial trip deposit date and 100% of the trip cost must be insured. To use the coverage, the trip must be canceled at least 2 days before the trip begins. Flight delay: Depending on the duration of the delay, multiple coverages could apply. Missed Connection requires a 3 hour delay, Trip Delay requires a 6 hour delay, and Trip Cancellation / Trip Interruption require a 12 hour delay. Depending on the scenario, one could claim a meal expense after the 3rd hour under Missed Connection, another meal with hotel after the 6th hour using Trip Delay, and ultimately cut the trip short after the 12th hour of the delay under Trip Interruption. Hurricane warning: A hurricane warning for the destination from the National Oceanic Atmospheric Administration (NOAA) can be a covered reason for Trip Cancellation / Trip Interruption. For this coverage to apply, the policy would need to be purchased at least 14 days prior to the warning, and the warning must be issued within 24 hours of the trip departure date. Mandatory evacuation: Local authorities at the destination issuing a mandatory evacuation can be a covered reason for Trip Cancellation / Trip Interruption, depending on how much of the trip remains at the end of the evacuation. When the evacuation order is lifted, if there is less than half of the trip remaining, or 4 days or less remaining, whichever works in your favor, then coverage can apply. If there is more than half and more than 4 days remaining on the trip, the evacuation is not covered by the standard Trip Cancellation / Trip Interruption benefit. Road closings: For those driving to the destination, a severe storm causing a route closing can result in unplanned expenses. Trip Delay can reimburse for a hotel and food if there is a road closing verified by the National Weather Service and Department of Transportation. Damage at the destination: Trip Cancellation / Trip Interruption Coverage can reimburse you if the accommodations where you are booked to stay are rendered uninhabitable. It is important to note that this is specific to the lodging and doesn’t necessarily include damage to the general area. In order to cancel because some businesses aren’t open, beach erosion, or general loss of enjoyment, please make sure to select a policy with Cancel For Any Reason coverage. Get Protection Before the Storm: This is an important consideration for those planning trips. In order for a travel protection plan to cover a particular storm, it is required the plan be purchased before the storm is named. For reference, a Tropical Depression is identified as a number until it reaches Tropical Storm (39-73 mph) or Hurricane (73+ mph) strength, at which point the storm is named. If a traveler waits until the named storm is threatening their trip, it is too late to purchase travel protection to cover effects of that named storm. Learn more in the article Named Storms and the Impact on Travel Protection. Insure the Full Trip Cost: The amount of trip cost insured on a travel protection plan is the choice of the individual traveler. They may choose to insure all, some, or zero trip cost. This dollar amount sets the limitation of the Trip Cancellation and Trip Interruption coverage benefits. Insuring less than the full trip cost may save a few dollars on the plan cost, however, it leaves travelers less than fully protected. Insuring the full amount is the best way to make sure the travelers can be made financially whole again should they have to cancel the trip. Also, specifically for the CFAR benefit we will discuss next, insuring the full trip cost is a requirement. Consider a Plan with CFAR: When it comes to hurricanes potentially ruining a vacation, many travelers will often choose to cancel and not risk taking the trip. The standard Trip Cancellation benefit does not reimburse a trip cancelled by choice or out of fear. However, the CFAR benefit does exactly this. No reason is required to cancel the trip, which means being concerned about a potential storm is as good a reason under CFAR as any other, and travelers can be reimbursed up to 75% of their pre-paid trip cost that is not refunded. Learn more about this coverage benefit in The TripAssure Guide to Cancel For Any Reason. This information is meant to be a summary of travel protection benefits for the upcoming hurricane season. For details, please refer to your plan documents. TripAssure is always here to help. Please contact us with any questions or concerns about your upcoming trip.